“Beginning with the U.S. embassy consolidation move to Jerusalem, the White House has sought to refresh strategic thinking regarding the region’s future,” Washington-based geopolitical strategist and diplomacy consultant John Sitilides said. 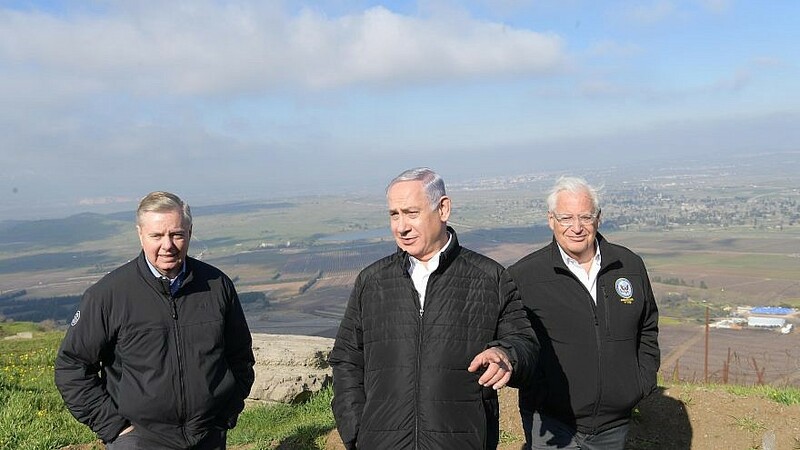 (March 18, 2019 / JNS) The decision last week by the U.S. State Department to change its designation of the Golan Heights from “Israeli-occupied” to “Israeli-controlled” in its annual human-rights report comes amid a push for the United States to officially recognize Israeli sovereignty of the Golan Heights, which it captured in the 1967 Six-Day War. Washington-based geopolitical strategist and diplomacy consultant John Sitilides told JNS that the designation change reflects a bigger picture. While the Zionist Organization of America applauded the language changes instituted by the State Department, it expressed disappointment over other areas of the report. Examples of such NGOs include B’Tselem and the New Israel Fund, which both have received funding from Soros’s Open Societies Foundation. However, the report includes organizations including Im Tirtzu that are ideologically opposite to groups such as B’Tselem. Former Israeli Ambassador to the U.N. Dore Gold told JNS that the description changes reflect that “recent events have crystalized what the real alternatives are for the Golan Heights” such as Iran and its proxies in Syria taking control of it.